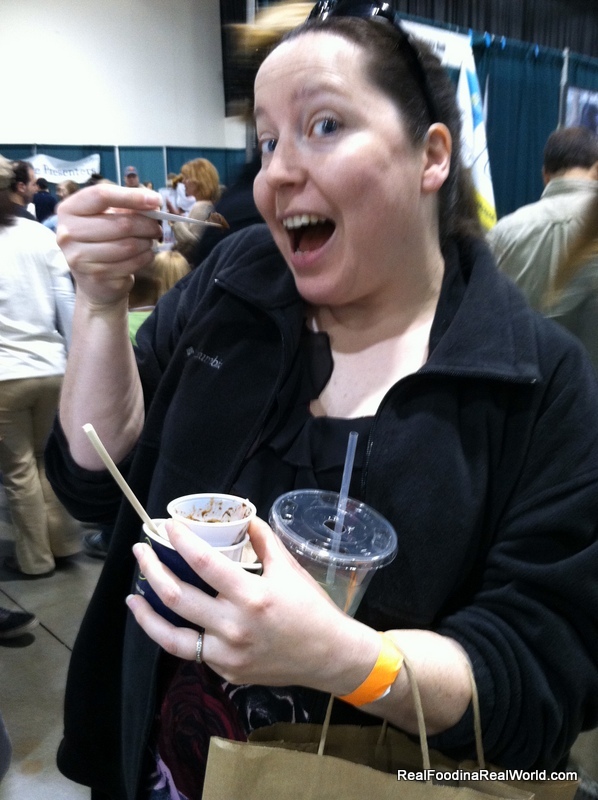 Yesterday I went to Michigan VegFest, a vegan tastefest and expo. I had never been before but a girlfriend (hereafter referred to as “Local Jacky”) asked me if I wanted to join her. I am so glad I said yes! Neither of us are vegan, but we are both trying to increase the amount of plant-based meals we prepare. I also have a dairy allergy, so vegan items are perfect for me! Must eat all the tasty treats! Neither of us was sure what to expect, and we were so surprised at the amount of food to sample! We ate our way through every table in the name of research! It’s nearly impossible to pick any favorites of all the amazing things I tried today. I will give you a few of the standouts, and I will be sure to cover more very soon! I tried the kale tabouli with quinoa salad and the Moroccan lentil salad. I really liked them both, but the Morrocan lentil salad was one of the best lentil dishes that I have ever tasted. The mixture of spices was amazing! 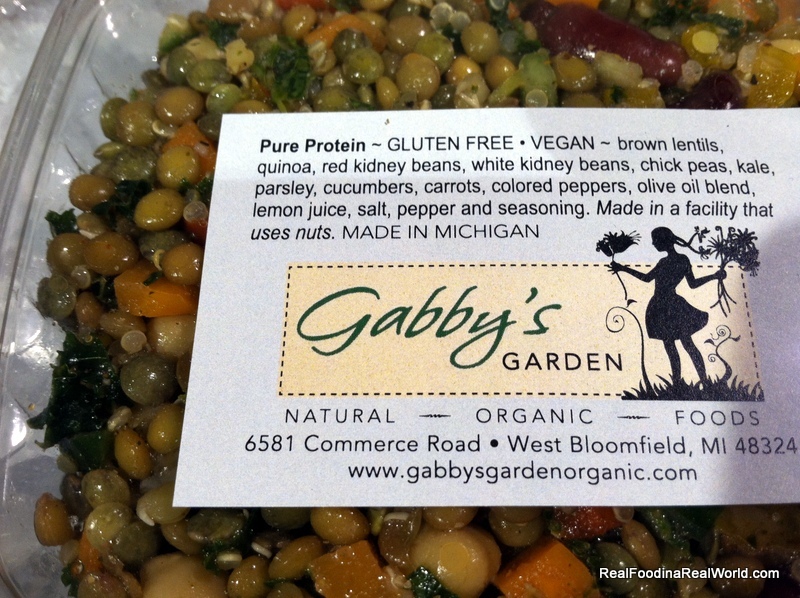 Local Jacky sampled the pure protein salad and loved it as well. 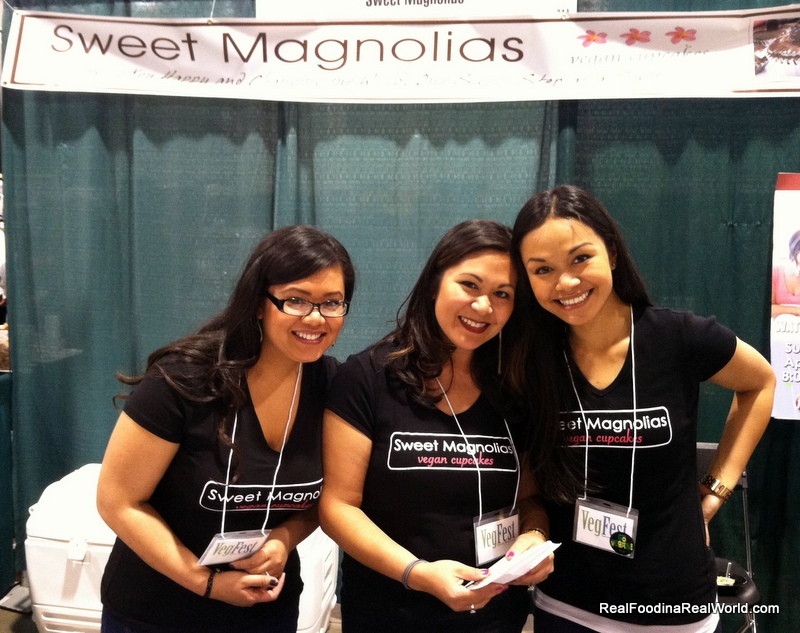 Met the lovely ladies of Sweet Magnolias Vegan Cupcakes! They were on Food Network Cupcake Wars last night! Their cupcakes are fantastic, one of those “I can’t believe this is vegan” moments. I now need to try every flavor. I had the double chocolate and it was as delish as it sounds. 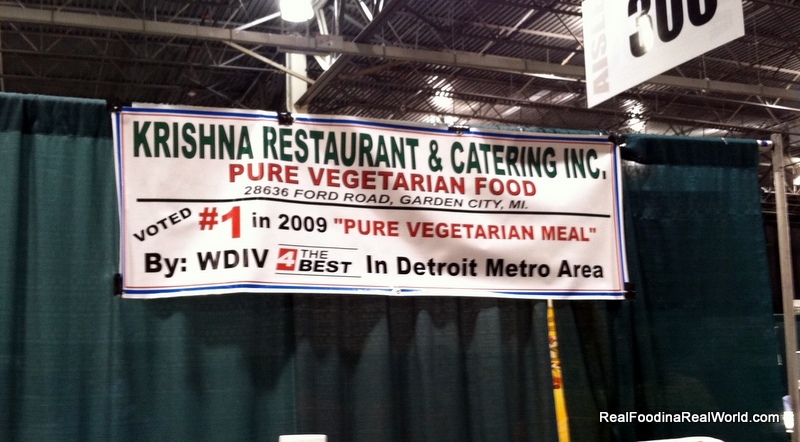 Krishna Catering & Restaurant was sampling their Aldo Channa and Biryani rice. Amazing!! The Aldo Channa is a potato and garbanzo bean dish mixed with a tomato sauce and spices. Both dishes were delicious! The super nice guys working the booth told me to come to the restaurant on Tuesdays for their lunch buffet special, only $5.50! I’m not well versed in Indian Food, so I think a buffet will be a great intro. Local toddler and I will go on a lunch date and bring back a full report! I have so many more companies to talk about and recipes to share, I will be bringing you more in the upcoming weeks! OMG you could walk to Krishna! I know! I very sheepishly told them how close I live and that I have never been! There are many reasons why the number of vegans has doubled in the US in less than 3 years. Here are two uplifting videos to help everyone understand why so many people are making this life affirming choice: http://www.youtube.com/watch?v=fKr4HZ7ukSE and http://www.veganvideo.org/.